Perched at the top of Clifton Hill, the world famous Skylon Tower rises 236 meters above Niagara Falls and dominates every visitor’s experience. 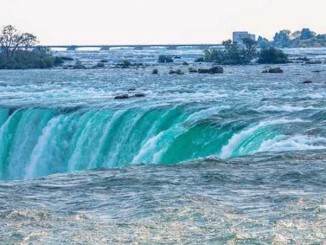 Since its construction back in 1965, the observation deck and rotating restaurant have been considered a world class tourist attraction and listed among the very best places to see the falls. And now, after fifty years in the sun, Skylon Tower can be ranked among the most historically venerated destinations in the city. This tall tower is a cultural landmark as well as the perfect place to gaze upon the natural spectacle of all three waterfalls that are collectively known as Niagara Falls. 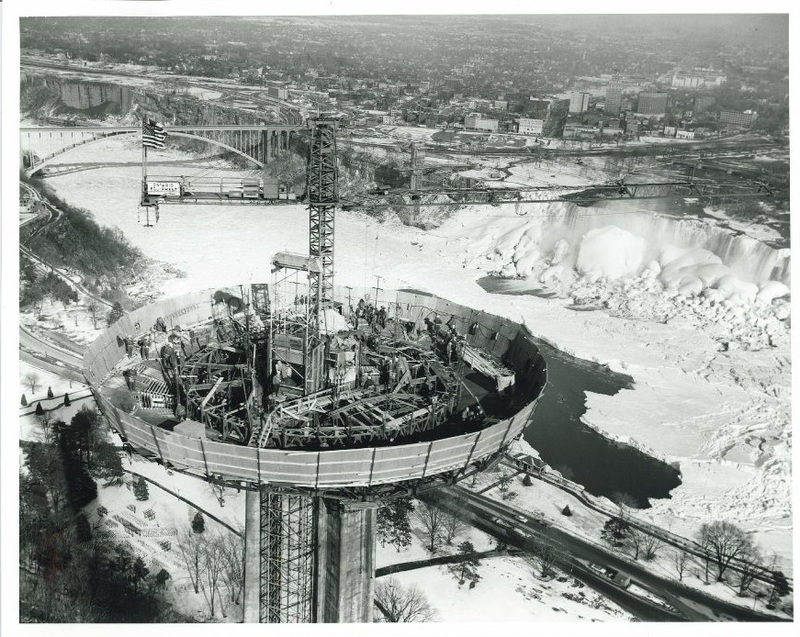 Skylon Tower opened on Oct. 6, 1965 and was at the time the tallest reinforced concrete structure of its kind anywhere in the world. The project was built by Pigott Construction Co., which was based in Hamilton. Six hundred people worked on the $11 million project, which took seventeen months to complete. Today It’s believed close to 50-million visitors have taken the 52-second ‘ride to the top’ in one of three glass-enclosed exterior elevators that glide up and down the outside of the tower’s shaft. A surprising amount of people have climbed its 662 steps in charity benefits held over the years. The tower is 160-metres high, and tourists have often been left in awe, as they stand on the observation deck, or dine at the tower’s revolving restaurant, which seats 272 people. The room makes one rotation every hour, giving diners a 360-degree look at Niagara Falls and the landscape beyond. Even George Yerich Sr the principle builder whose vision it was to build the tower remembers the first time he took in the view from the observation deck, fifty years ago. 50 Years! George Yerich at Skylon accepts 50 years commemorative plaque – Photo by Rob Campbell. 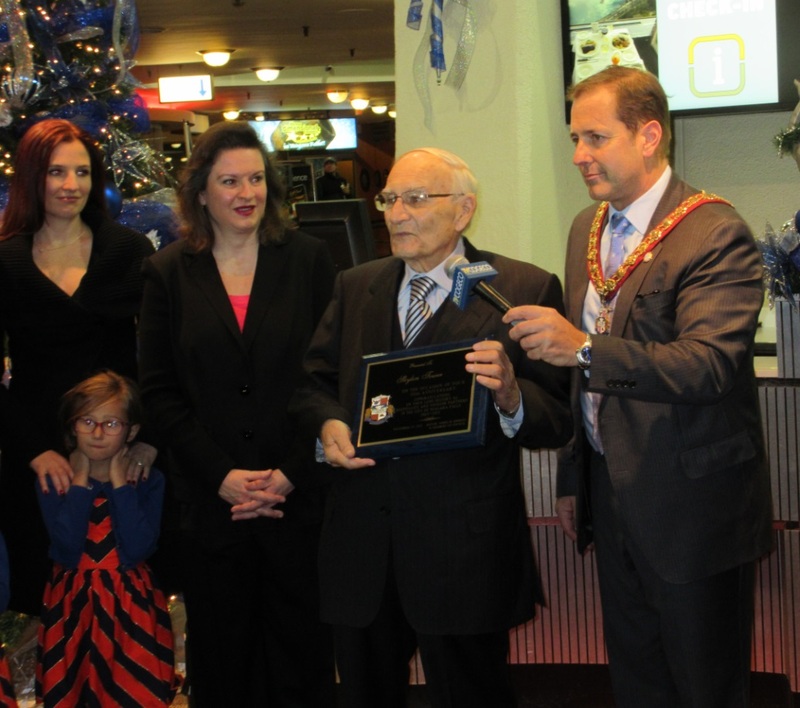 On Wednesday November 25th at 5pm, Niagara Falls Mayor Jim Diodati led a friendly conspicuously ‘unplugged’ ceremony at the base of the tower, and did present George Yerich Sr with a commemorative plaque in honour of Skylon being a focal point in the community for the last half century. Various other city staff and dignitaries spoke about the site, including MP Rob Nicholson who remembered watching the construction crews build the tower and feeling the excitement, and the belief in the future that such an installation brought to the community, and how well that dream has been realized now, fifty years later. Some local business people were at the event. Here’s Claire Matthews of Yoga Truly with the Rossi glassblowers in Niagara Falls. 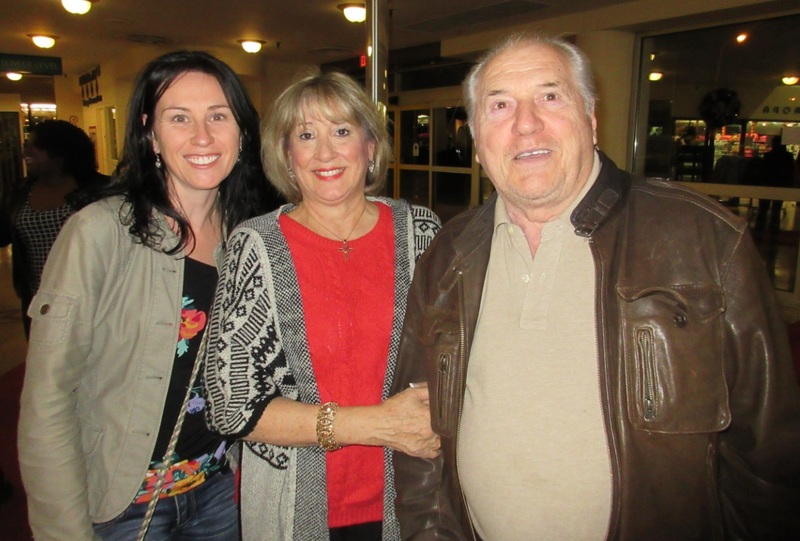 This author himself has memories of Skylon Tower in the nineteen eighties, visiting with family, watching craftsmen and live entertainers perform amazing feats. And i remember eating salt water candy by the bag while spending five dollars in quarters playing arcade games at the very bottom of the tower. Its all still there. The art and glass vendors, souvenir shops and the massive arcade below are just as I remember, but I couldn’t find the saltwater taffy anywhere..